What a year! 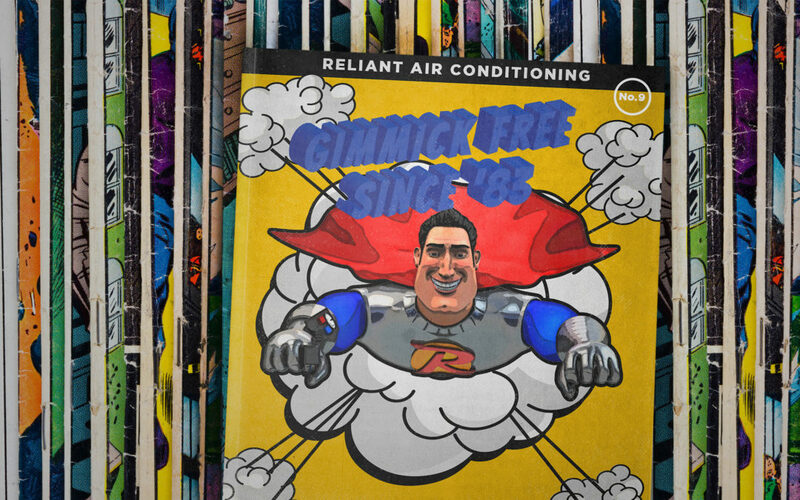 2016 was a great time to be a part of the Reliant Air Conditioning family, for sure. As the new year approaches, we’d like to take a look back at a few highlights and accomplishments from the last 365 days of serving the DFW Metroplex. So, cue up Auld Lang Syne and get sentimental with us for a few moments as we celebrate a few key moments from this year to remember. For starters, we won the Angie’s List “Super Service” award for another year in a row. This award is only given to the top 5% of qualifying businesses on Angie’s List, and it’s one of the highest honors a company can receive in their district. Click HERE to read our official press release from earlier this year, and thank you once again, DFW! We received one of the nicest letters we’ve ever received from a customer. Click HERE for a look back at this awesome story featured in March of this year. We proudly sponsored Carroll ISD’s Dragon Stadium. Our business has been supported by the families of Carroll Independent School District for many years, and we were thrilled at this opportunity to give back to the community. Our third annual company picnic was a huge success earlier this summer, too. It was a pleasure getting to spend time with our employees and their families, and we appreciate everything you do to make our company awesome! Even Reliant Man made an appearance – in piñata form. We can’t wait for a repeat! We were a recipient of the prestigious 2016 President’s Award from Carrier. This award provides recognition for outstanding dealers in the heating, ventilating and air conditioning (HVAC) industry, and it’s only given to Carrier Factory Authorized Dealers who achieved excellence in product promotions and delivered superior customer satisfaction, including AC repair and service. There’s so much more we could mention here, but one thing is for certain: we’re incredibly excited at what 2017 could bring. We love celebrating at the end of each and every year, but what we love even more is knowing that our people are out and about making a real difference in the lives of those we serve. From all of us here at Reliant Air Conditioning, we wish you a very merry Christmas and a prosperous 2017, DFW!